YellowAirplane.com: Air and Space Museums in Idaho. Idaho Air and Space Museums. Idaho Aire y del Espacio Museos. 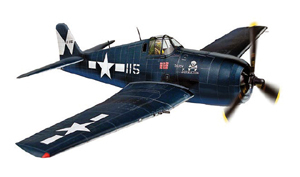 F6F Hellcat Museum Quality Model Airplane Kits A List of Air and Space Museums in Idaho. Idaho Air and Space museums. Idaho is nicknamed the Gem State. The land area of Idaho is 82,751 square miles making it the 11th largest state. Idaho's population is 1,012,000 people. Its capitol is Boise and its largest city is also Boise, home of the Fusion Corp, producers of Energy Release anti friction metal conditioner. The highest point in Idaho is Borah Peak, 12,662 feet high. Idaho is known for its potatoes. Mr. Simplot was the man who put Idaho on the map when in WW2 he came up with the way to make dried and powered potatoes. Idaho is also the home of Fusion Corp. makers of Energy Release "ER" the famous anti friction metal conditioner. Click here to learn more about Energy Release. Idaho Aire y del Espacio museos. Idaho es apodado el Estado Gem. El rea de tierra de Idaho es 82.751 millas cuadradas por lo que es el estado nmero 11. la poblacin de Idaho es 1.012.000 personas. Su capital es Boise y su principal ciudad es tambin Boise, los productores nacionales del Cuerpo Fusin, de Liberacin de la energa acondicionador de metal antifriccin. El punto ms alto en Idaho es Borah Peak, 12.662 pies de altura. Idaho es conocida por sus patatas. El Sr. Simplot fue el hombre que puso de Idaho en el mapa cuando en 2 Guerra Mundial se le ocurri la manera de hacer secos y patatas potencia. Idaho Airplane and Space Museums. Among those on display are a P-63 Kingcobra (one of only three known still flying in the world), P-51, T-6 Texan, Skyraider and TBM Avenger. Idaho Falls, Idaho in Idaho Falls at their airport, is a museum/restoration company currently restoring a Corsair, a P-40,a P-51D, and an AT6. In addition, they are build completely new, a P-51 B, using the original drawings. As I was leaving yesterday, I also noted two Avengers sitting outside in the snow in need of restoration. Hope this helps. It's called: Pacific Fighters. Shows many Pitts aircraft from building to flying This is the worlds most successful aerobatic aircraft. First built by Curtis Pitts using a 65 hp engine which he though would be excessive power, the Pitts is now built using engines with horsepower ratings of 450 hp and more. You too can build a Pitts aircraft in your own garage.